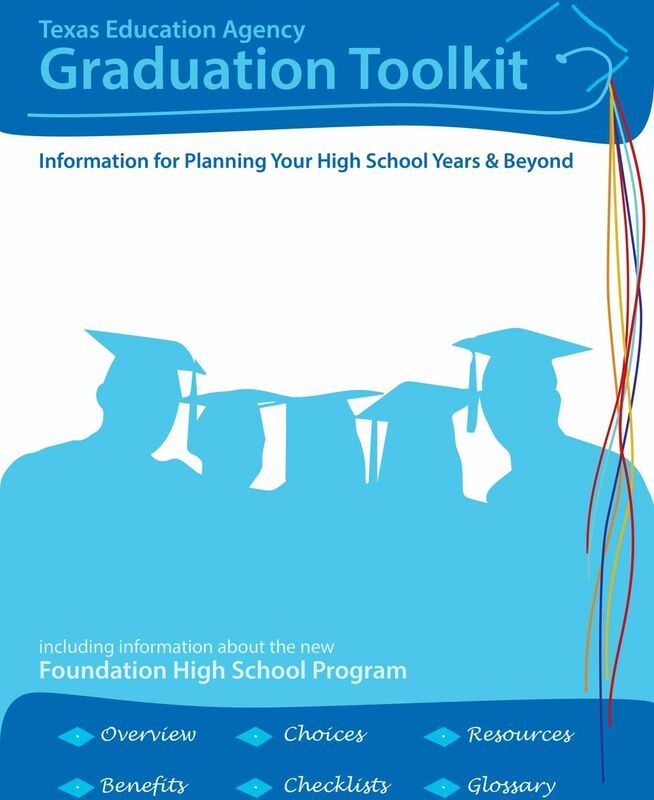 Download "Graduation Toolkit. Texas Education Agency. Foundation High School Program. 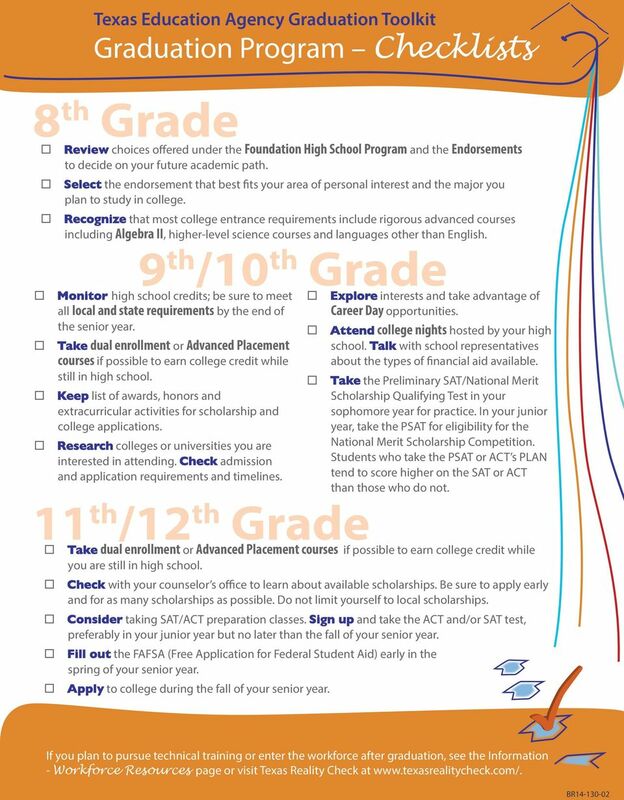 Information for Planning Your High School Years & Beyond"
3 Graduation Program Overview Foundation High School Program A new, more flexible graduation program that allows students to pursue their interests will be in place for all students who enter high school, beginning in the school year. 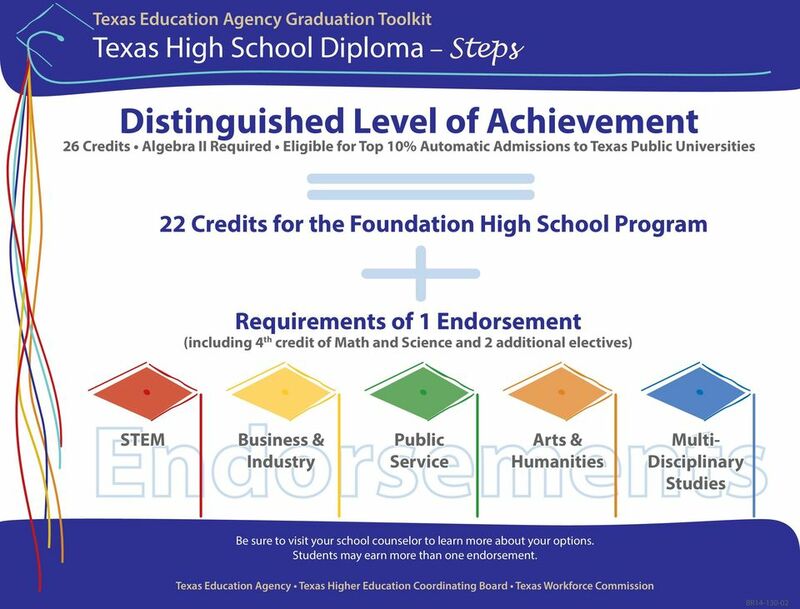 The program contains up to four parts: A 22-credit foundation program which is the core of the new Texas high school diploma Five endorsement* options that allow students to focus on a related series of courses A higher performance category called Distinguished Level of Achievement Performance Acknowledgments that note outstanding achievement The Foundation requirements (22 credits) include: English (4 credits) English I English II English III An advanced English course Mathematics (3 credits) Algebra I Geometry An advanced math course Science (3 credits) Biology Integrated Physics & Chemistry or an advanced science course An advanced science course Social Studies (3 credits) World History or World Geography U.S. Government (one-half credit) Languages Other Than English (2 credits) U.S. History Economics (one-half credit) 2 credits in the same language or 2 credits from Computer Science I, II, III Physical Education (1 credit) Fine Arts (1 credit) Electives (5 credits) Speech: Demonstrated proficiency Endorsements Total credits with endorsements 26 Enhancements Additionally, a student may earn the Distinguished Level of Achievement and/or a Performance Acknowledgment for outstanding performance. 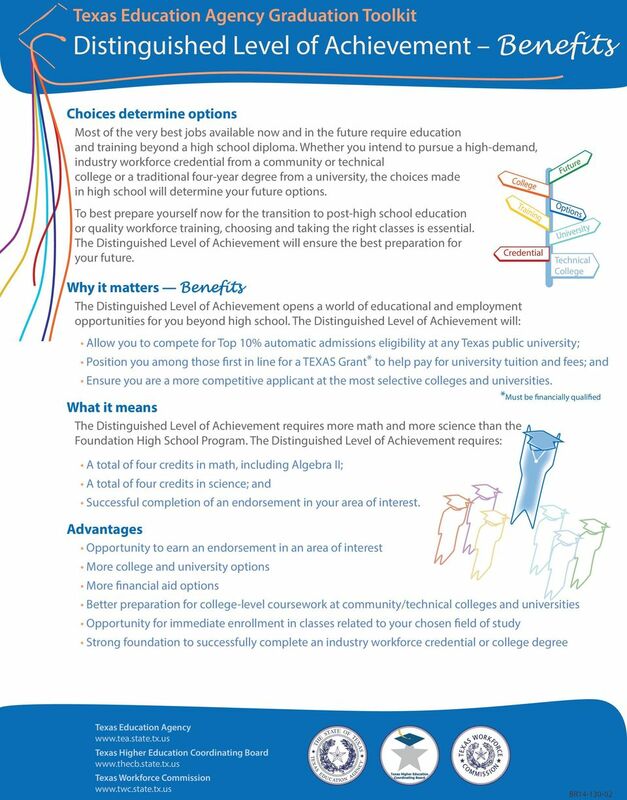 The Distinguished Level of Achievement must be earned to be admitted to a Texas public university under the Top 10 percent automatic admission law. 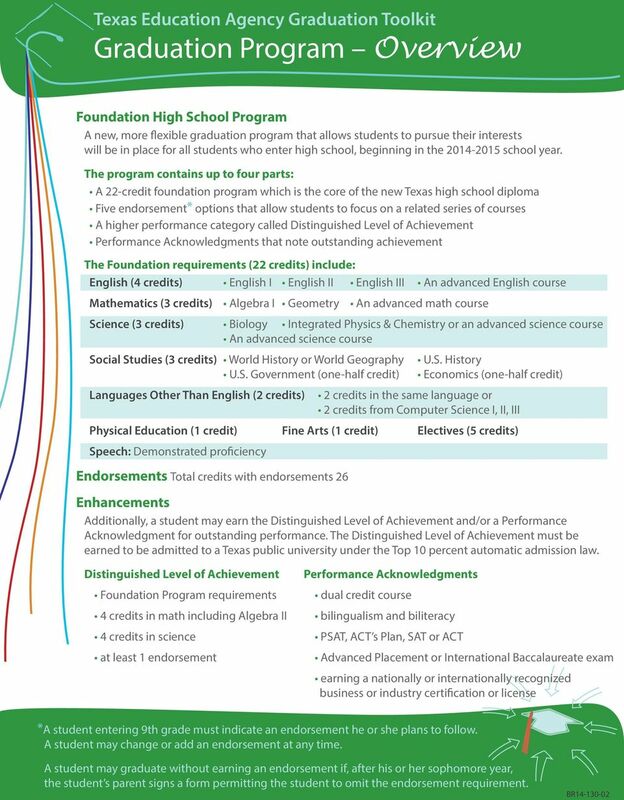 Distinguished Level of Achievement Foundation Program requirements 4 credits in math including Algebra II 4 credits in science at least 1 endorsement Performance Acknowledgments dual credit course bilingualism and biliteracy PSAT, ACT s Plan, SAT or ACT Advanced Placement or International Baccalaureate exam earning a nationally or internationally recognized business or industry certification or license *A student entering 9th grade must indicate an endorsement he or she plans to follow. A student may change or add an endorsement at any time. A student may graduate without earning an endorsement if, after his or her sophomore year, the student s parent signs a form permitting the student to omit the endorsement requirement. 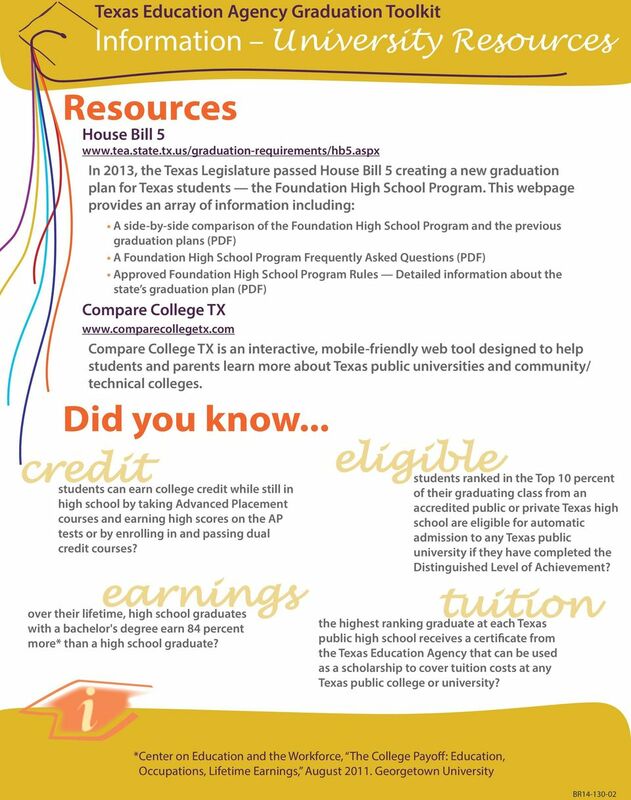 10 Graduation Program Glossary Foundation High School Program The basic 22-credit graduation program for Texas public school students. Endorsements Areas of specialized study. 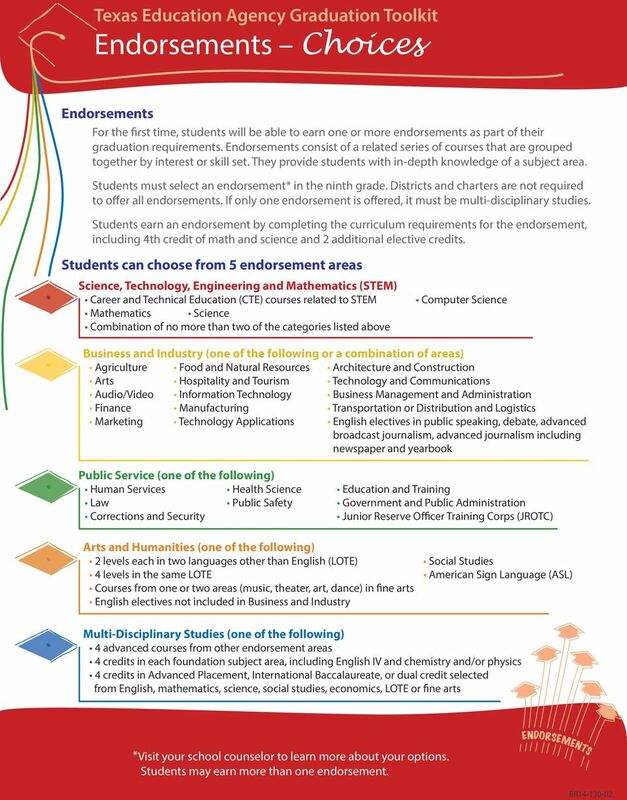 The areas are: Science, Technology, Engineering and Mathematics (STEM) Business and Industry Arts and Humanities Public Service Multidisciplinary Studies A district or charter that offers only one endorsement must offer Multidisciplinary Studies. 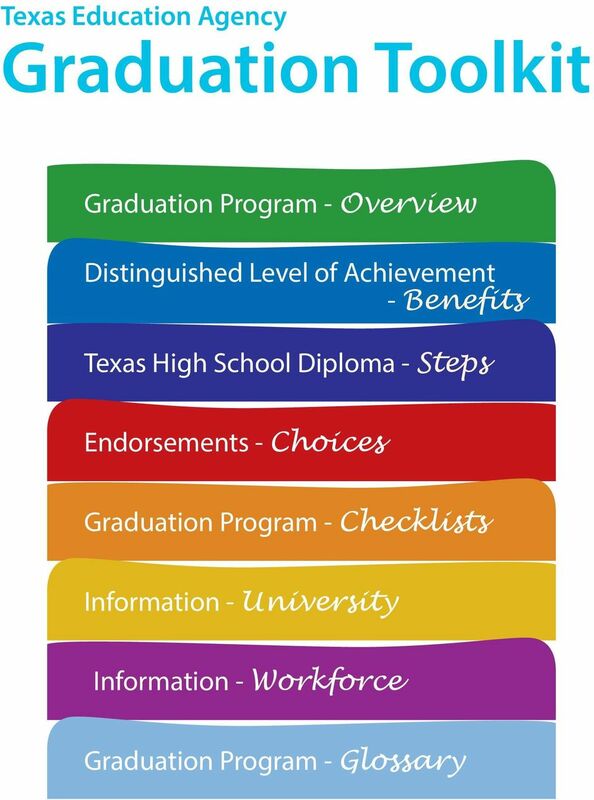 Distinguished Level of Achievement A high level of academic achievement earned by going beyond the Foundation High School Program. It requires a total of 26 course credits, including Algebra II, a fourth science credit and an endorsement. A student must earn this designation to be eligible for Top 10 percent automatic admission to a Texas public university. Performance Acknowledgments Students may earn an additional acknowledgment on their diploma because of outstanding performance in areas such as dual credit courses and bilingualism and biliteracy; on Advanced Placement, International Baccalaureate, PSAT, ACT s Plan, the SAT or ACT exams; or by earning a nationally- or internationally-recognized business or industry certification. Course Credit A unit of measure awarded for successful completion of a course. Completion of a one semester course typically earns one-half credit for a student. Industry Workforce Credential A state, nationally, or internationally-recognized credential that aligns with the knowledge and skills standards identified by an association or government entity representing a particular profession or occupation and valued by business or industry. 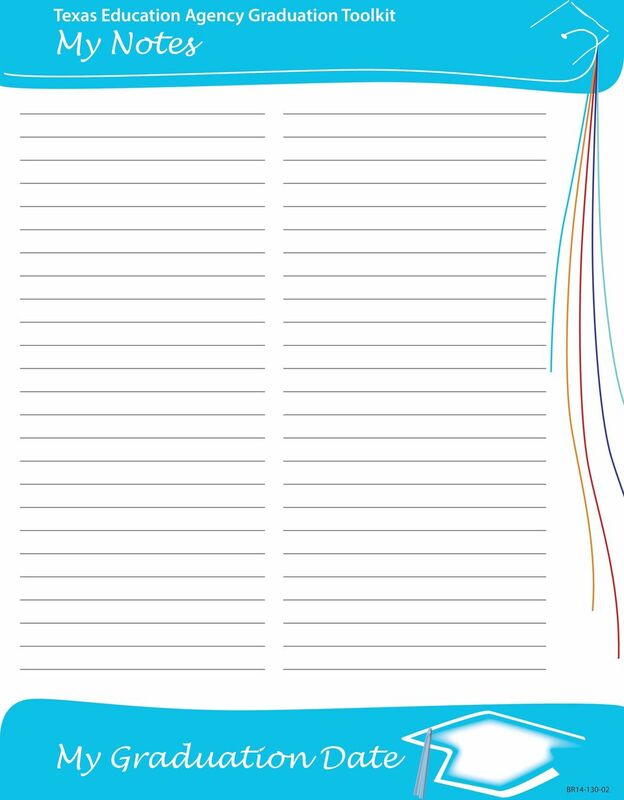 Examples include a credential for certified nurse aid (CNA) or the automotive service excellence (ASE) certification in the automotive industry. 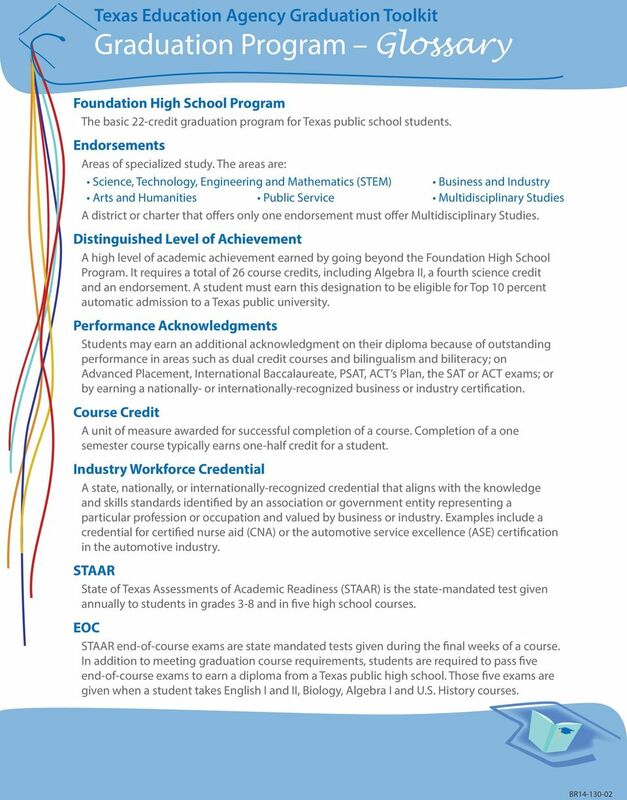 STAAR State of Texas Assessments of Academic Readiness (STAAR) is the state-mandated test given annually to students in grades 3-8 and in five high school courses. EOC STAAR end-of-course exams are state mandated tests given during the final weeks of a course. 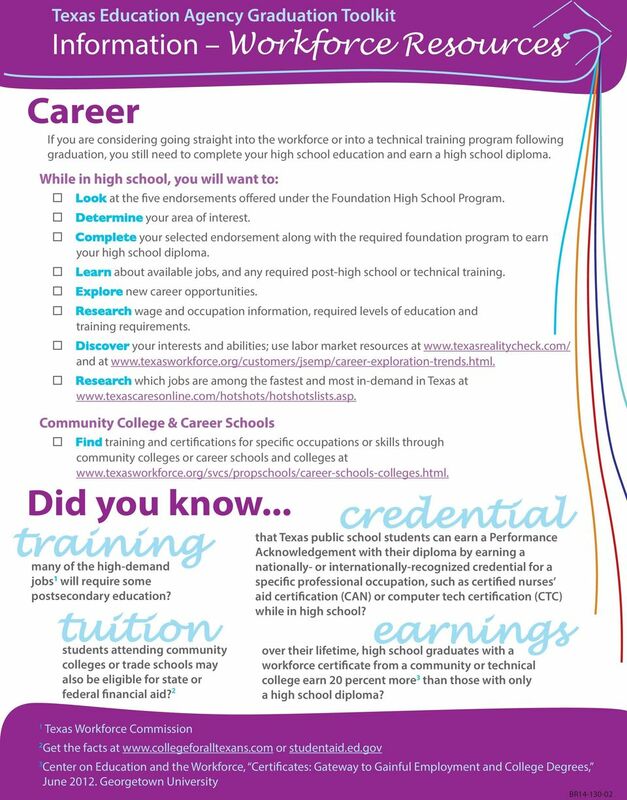 In addition to meeting graduation course requirements, students are required to pass five end-of-course exams to earn a diploma from a Texas public high school. Those five exams are given when a student takes English I and II, Biology, Algebra I and U.S. History courses. Putting the Pieces Together...A Guide to Life After High School 2 Year University (Community College/junior college 2-year universities are schools that offer the core classes and offer associates degrees. (b) Core Courses - courses identified as c or r in Rule 160-4-2-.20 List of State-Funded K-8 Subjects and 9-12 Courses.